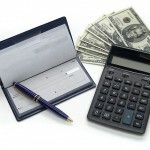 The good news continues to roll in for home-buyers looking to hop on the refinancing train in the second quarter of 2012. Not only have the refinancing rates decreased in the fixed rate categories, but in the ARMs as well. The latest rate data issued from Freddie Mac reveals the average interest rate for a 30 year fixed mortgage has hit another benchmark of 3.90%, dropping another .05% in just a week. Even more amazing, anyone looking to refinance with a 15 year fixed rate mortgage is poised to take on an average interest rate of an astounding 3.17%, while most of the ARM (5/1 and 1-year) categories are holding steady somewhere below 3.0%. Needless to say, these current interest rates are most definitely in the ‘historically low’ realm of lending options. And, while this particular phrase has been voiced quite often in the last year or so as the rates continue to creep downward, the real impact becomes clear with a little perspective applied to it. Since way back in 1971, the lending market data has been consistently watched by Freddie Mac, and therefore made public with weekly surveys. When anyone refers to ‘average interest rates’, and specifically in terms of mortgages or refinancing in this country, they are speaking of those published by Freddie Mac. These weekly publications are drawn from data supplied from over 100 lending institutions across the country. In February of 2012, the interest rates reached the lowest figure in the whole history of all the data ever surveyed, since it was first tabulated back in 1971. 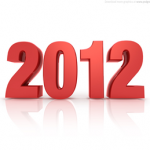 Translation – February became the benchmark of the lowest percentage for mortgage financing rates in over forty years. In retrospect, back then, the 30 year fixed mortgage interest rate was 3.87%. As of this date, just two months later, the rates rose up a notch or two, but not by any significant amount. To try and understand what this all means in terms of a trend, March just proved to be a continuation of this rate status, holding at just below 4% in all fixed rate loan types. April rates are currently pegged at 3.90% for 30 year fixed, and an additional .05% for 30 year fixed for refinancing loan packages. A 5/1 ARM is going for 2.75%, and a 15 year fixed is wavering around 3.12%. So, where the trend is heading, and for how long, is anyone’s guess. Unfortunately, after quite a few months, this low-ball activity does not seem to matter much in terms of giving the housing market any significant boost. Market analysts are quick to point out that low interest rates are not sufficient by themselves to turn things around. Many home-buyers are finding it difficult to meet the loan qualifications due to credit scores impacted by the slow economy. Refinancing is becoming a tough option for many homeowners because of a lack of sufficient equity in homes being de-valued for the very same reason. However, for those fortunate enough to qualify, both home-hunters and homeowners alike, whether it is for a first-time mortgage or a strategic shot at refinancing for better rates or shorter loan terms, there is no time like the present for getting the best interest rate deals in decades.